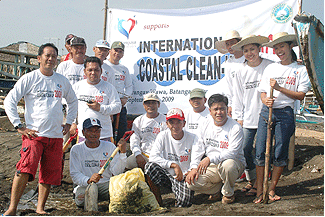 On September 19, 2009, Malampaya Foundation, Inc. (MFI) joined in the celebration of the International Coastal Clean-Up Day at Barangay Wawa, Barangay Sta. 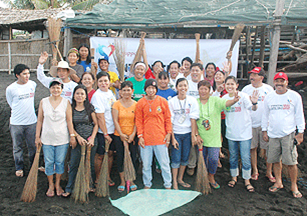 Clara and Barangay Tabagao Aplaya in Batangas. 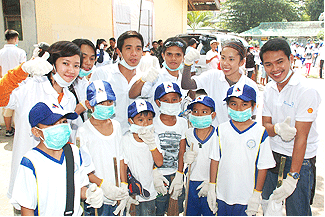 Volunteers from Brgy. Sta. Clara headed by Barangay Chairman Lilac Casapao started their clean up as early as 5:00 in the morning where students from Batangas State University, volunteers from First Gas, coast guards and the Sta. Clara women’s group, joined in the activity. MFI team also helped in the coastal clean-up of Barangay Wawa, together with the volunteer students of Lyceum of the Philippines University-Batangas. Meanwhile, volunteers from Shell Project Better World (PBW) served as the big brothers and sisters to the students of Tabangao Elementary School and Tabangao National High School, as they worked together in cleaning the community’s shoreline. 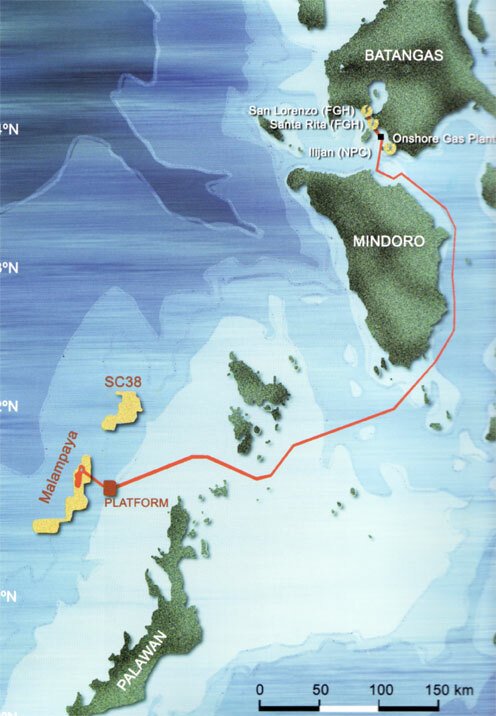 An environmental workshop on sea animal’s protection was conducted as well by the World Wildlife Fund (WWF)-Philippines Environment Information Officer Isobel Resurreccion. the fisherfolk’s organisation Lakas ng Mangingisda sa Baybayin ng Tabangao (LAMBAT) also showed their active support for the activity. Pilipinas Shell Communications Manager-Batangas Ma. Divina De Leon and Mel Aguilera of the Pilipinas Shell Foundation, Inc. (PSFI) graced the said event.